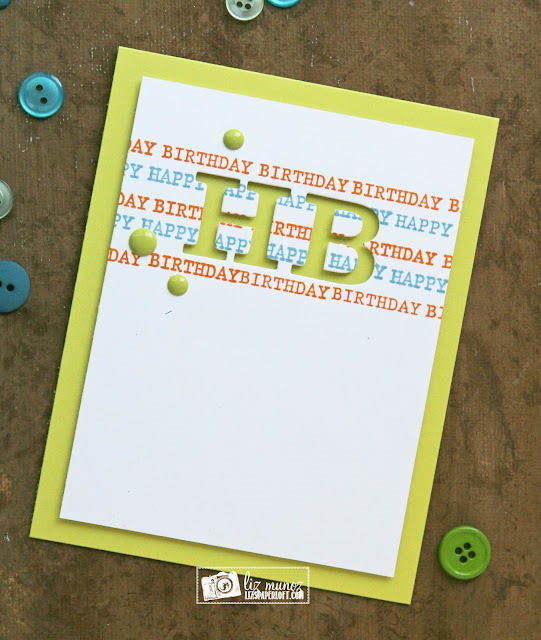 Liz's Paper Loft: MCT Too Die For ~ hb! MCT Too Die For ~ hb! Happy Tuesday to you! Today is Too Die For over at My Creative Time, this where we show different ways to get more use out of your dies. 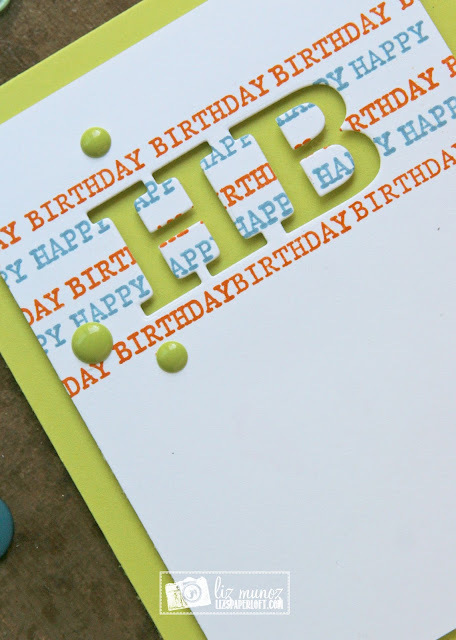 To create this card I first die cut the "H and B", then with the Misti I was able to stamp the "happy birthday" in a repeat pattern. Now had I been thinking ahead, I should have stamped first, then die cut the letters and used the "H and B" on another card...then I would have had two cards completed at the same time. :) I use foam tape to pop up the white panel and added some enamel dots. I just LOVE your card Miss Liz!!! 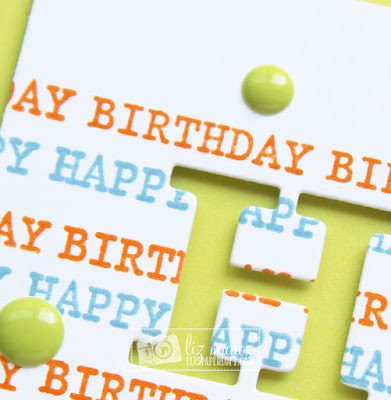 It is such a perfect card using my FAVORITE dies!! Oh Miss Liz What a Beautiful Card!! Outstanding Stamping Job and it sure showcases the H B in the most perfect way!! Definitely more clever & Creative ways to use Miss Emma's goodies. YOU so ROCK!! Great card and fabulous idea! Thanks for sharing! I love this simple idea for a card and great tip that two cards could have been made! Wonderful job. MCT August Release Blog Hop ~ too cute to spook! MCT August Release Sneak Peek Day 3 ~ thankful! MCT Whatever Wednesday ~ sweet birthday!